Book in a pampering 60 min signature full body Massage followed by a 30 minute Organic Facial. ​Expect a magical touch oil massage fusing relaxing smoothing strokes with releasing deep tissue techniques and hot stone therapy. This full body massage treatment is designed to blend the best of many massage modalities so that you receive the best treatment possible that not only makes you feel taken care of but relaxed and revived. This one hour fusion massage is followed with our 30min holistic beauty express facial. Relaxing with this deep cleansing and nourishing organic facial treatment after your massage is the perfect way to integrate your massage experience. This express facial consists of a beautiful cleansing and exfoliation ritual, facial mask, aroma hot towels and ending with a massaging moisturiser hydrating cream. When the mask is applied your therapist will start your relaxing scalp, arm and hand massage. NOTE : Our 30min Express Facial may be exchanged for our full body Lemon Sea Salt exfoliation followed by a hot shower before your massage. Just let us know your preference when you make your booking. Imagine laying down on a heated comfortable massage table and knowing that you are in the caring, professional and healing attuned hands of a massage therapist and angelic reiki practitioner. Your therapist will intuitively tune into your body and be guided with using different massage techniques and strokes perfect for you and your body well being. Within moment you will find yourself gently and effortlessly move into a deep relaxation and natural release of the daily built up stresses and strains on the body, mind and spirit. Once you massage is complete and you are feeling the relief and beautiful nurturance of a great massage experience. 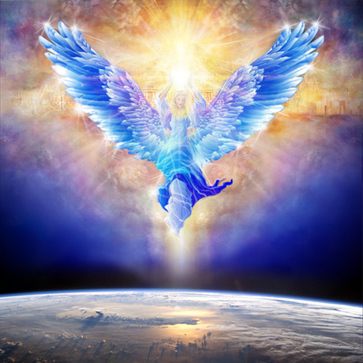 Your qualified therapist will begin your Angelic Reiki Energy Session by inviting the angels that wish to support you to work with her in furthering your healing treatment and vibrational health on every level of body, mind , emotions and soul. For this part your therapist will lightly lay her hands on your body where ever she is guided to and may even hover the hands just above while allowing the energy go to where it is needed to go with the help of the angelic realm and asended masters. This is like a sacred healing bath that will feel deeply calming and peaceful. It may bring up some emotional awareness and the healing will continue for up to 30 days following with the angels by your side. All that is required is your free will permission to be open to receive the healing support to where ever it is required for your highest good. " ask and you shall receive "
Massage 60min and Angelic Reiki 30min. Lomi Lomi massage is a beautiful and flowing full body oil massage with changing pressure for maximum relaxation, pleasure and rejuvenation. This massage come's from Hawaii and is designed to be a relaxing and re-invigorating healing ritual for body, mind and spirit.
" Hawaiian Massage arose in a time when life was abundant with the spirit and grace of ‘Aloha’ – the Hawaiian meaning for love. " . This massage style is most suitable for people whom feel very comfortable receiving a full body massage. Clients are draped at all times, however it is preferable to be un-clothed or wear a G-string beneath the draping as to allow your therapist to make flowing strokes from foot to shoulders easily on one side of the body at a time.